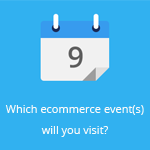 November 8, 2013 by Ecommerce News. About Online store with tags The United Kingdom. 3699 views. Ecommerce is now accounting for almost a fifth of all the non-food items bought by Britain’s shoppers. What’s even more astonishing is the fact that in October more than 30 percent of all sold footwear was being bought online. The internet now also accounts for 24.1 percent of all clothing sales made by stores. So hooray for ecommerce! It’s great news for online retailers now the start of the holiday season is near. The figures from the British Retail Consortium also shows that 3.7 percent of all health and beauty purchases happens online. It’s expected British shoppers will spend an all time high 12.84 billion euros, an increase of 15 percent compared to the same period last year.